NASHVILLE – More than 250 members and employees from Tennessee’s electric cooperatives were in Nashville on Monday and Tuesday, March 7 and 8, for the 2016 Tennessee Electric Cooperative Association’s Legislative Conference. 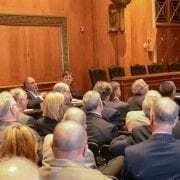 Attendees met with their legislators on Capitol Hill to help them better understand electric cooperatives and the issues that impact rural and suburban Tennessee. Tennessee’s electric cooperatives maintain a visible presence in Nashville and Washington, D.C., to protect the interests of co-op members. “We are here to give a voice to rural Tennesseans,” says David Callis, CEO of the Tennessee Electric Cooperative Association. “Legislators consider bills that have serious consequences for co-ops and the communities they serve. We must tell the electric cooperative story and educate lawmakers about the impact of proposed legislation,” says Callis. 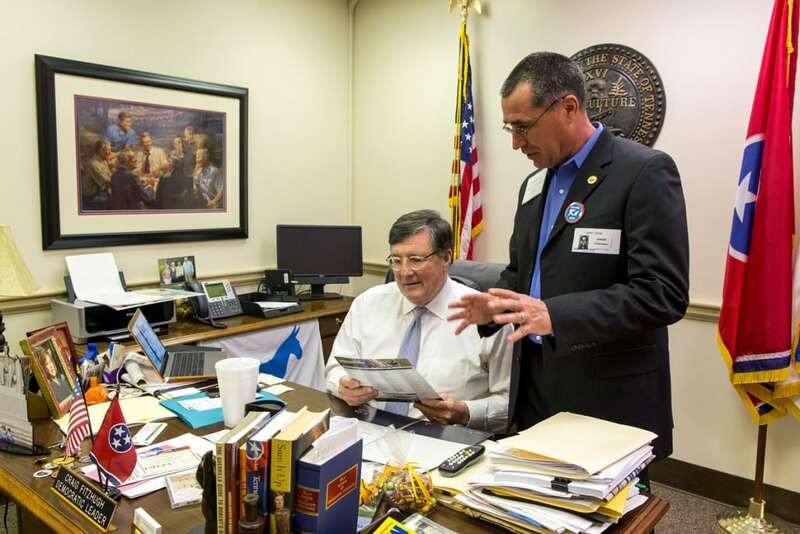 Attendees reminded legislators that co-ops are not-for-profit, member-owned and –regulated private businesses that impact rural and suburban Tennessee in many ways. Visits focused on specific legislation that impacts co-ops and the communities they serve. Co-op leaders expressed support for a bill that allows electric co-ops to provide broadband Internet service. “We serve the areas with the greatest need for broadband,” says Mike Knotts, Vice President of Government Affairs for the Tennessee Electric Cooperative Association. 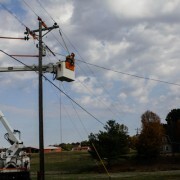 “We have a role to play in bringing high-speed connectivity to rural Tennessee.” Co-ops also voiced their support of legislation that modernizes the tax code for co-ops and discussed the impact of the recent Supreme Court decision to halt implementation of the Environmental Protection Agency’s Clean Power Plan. “Educated and informed legislators are necessary for us to provide low-cost, reliable power, and our members make a powerful impression when they come to Nashville,” says Knotts. 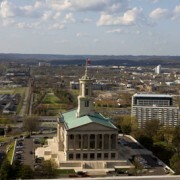 More than 100 legislative visits were made during the conference, and dozens of legislators from across the state attended a reception honoring members of the Tennessee General Assembly.